Homeowner’s often ask if continued pest control during the winter is even necessary. The answer is yes, it is wise to continue pest control throughout the colder winter season, especially in the warmer climates. During the winter months, insects and rodents want to find warmth and shelter, and this often means your warm home. While many pests will go dormant during the winter months, others will seek shelter or migrate south to warmer climates. This is the reason you may see more ants, roaches and other pests such as rodents during the winter season. 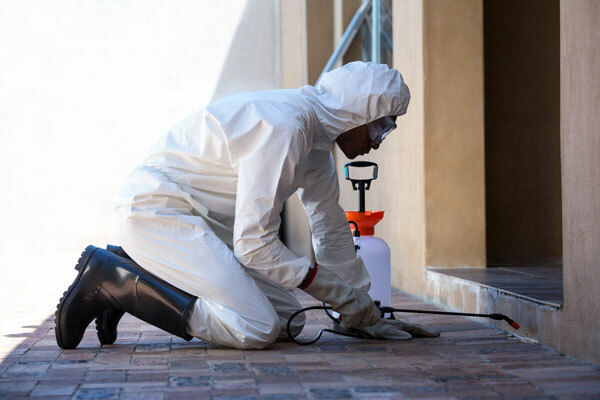 With the right prevention, and professional pest control in Fort Worth you can protect your home from unwanted invaders. Pest control in Fort Worth involves a two pronged approach. An effective pest control program involves steps for prevention and professional pest control in Fort Worth. Spring is several months away, but the treatment you provide during fall and winter affects the pest population in your home come spring. The increased sightings of roaches, spiders and other insects in the spring are typically due to homeowner’s who have not maintained pest control during the winter months. Many of the pests you see in the spring have wintered in the walls, attic, basement and crawlspace of your home. Pests that were outdoors will move to your warm indoors if they have access, and when the insecticidal barrier provided by your professional pest control in Fort Worth becomes less effective. Providing a pre-winter inspection of your home for entry points, and scheduling The Bug Dude to apply insect barriers will help to keep your home pest free through the winter, and when spring arrives. Fall leaves and rain result in a mulch buildup around your home, and also clogged gutters, drains, and other areas where debris can cause clogging. These areas are potential homes for pest populations that can enter your home. Removing the debris will reduce pest populations and also ensure proper drainage of gutters and downspouts, possibly preventing damage to your home and roof. Replace worn or damaged door sweeps on exterior doors and repair or replace damaged window screens. Apply screen to plumbing vents and chimneys. Only use heat approved wire and/or screen for chimneys and vent pipes where the heat is exhausted, such as gas water heaters and furnaces. Seal cracks and holes on the home’s exterior, including areas where utilities and pipes enter the home, using expanding foam, caulk, steel wool or a combination. Store non-perishable foods and pet food in airtight containers. Use a tightly sealing garbage can and dispose of garbage regularly. Keep attics, basements and crawl spaces ventilated and dry. If water is a problem in your basement or crawlspace, consider installing a sump pump. In addition to attic ventilation, have those roof leaks repaired! Repair loose mortar and seal cracked siding on the house and around the basement foundation. Inspect windows and replace loose, cracked or missing caulking. Eliminate all moisture sites, including repair for water leaks and leaking outdoor faucets, and drains. Moisture provides an ideal breeding ground for many pests. Inspect boxes, grocery bags and other packages brought into the home for pests before bringing them in. Store firewood at least 20 feet away from the house and at least 12 inches off of the ground. Professional pest control in Fort Worth also eliminates outdoor pests. Trim shrubbery back from the house, including tree limbs over the roof by at least 12 inches. Monitor for signs of a rodent infestation, and act quickly if present by contacting The Bug Dude for pest control in Fort Worth. Rodents reproduce quickly, and will turn into a big issue if not treated. Droppings in cabinets, on counters, along walls, on top of wall studs or beams, near nests, and in boxes, drawers and other objects are a common sign of mice. Pick them up wearing gloves and dispose of properly. Completely disinfect the area once cleared. Listen for the scurrying, scratching sounds and gnawing sounds of rodents, especially at night. Watch for signs of gnawing on wood and electrical wire. Inspect for rodent nests in seldom used areas that are dark and secluded. This includes garages where vehicles, motorcycles, ATV’s and lawn mowers are kept. Rodents can destroy wiring harnesses in no time. Check for damaged food packages and dry pet foods. Don’t leave leftovers or food refuse out, dispose of it in the trash. If you catch a whiff of a musty odor, it may be due to a rodent nest, a dead mouse or droppings. Watch your pet, if it seems intrigued by a certain location, inspect it thoroughly for signs of a rodent issue. Sighting a mouse is a definite sign, and unfortunately, there may be more than one. Females give can give birth 10 times a year with 6 to 8 mice per liter. This is why you require prompt action for mice. Furthermore, it isn’t true that mice will leave in the spring. Your home is the ideal location for rodents with comfortable indoor temperatures and food. While more can come in during the winter if the home isn’t tight, mice in the winter typically means mice year round. The Bug Dude can take care of your rodent problem with pest control in Fort Worth. Contact The Bug Dude for professional pest control in Fort Worth, our experts will provide the effective pest control you need. We serve Fort Worth and the surrounding areas.